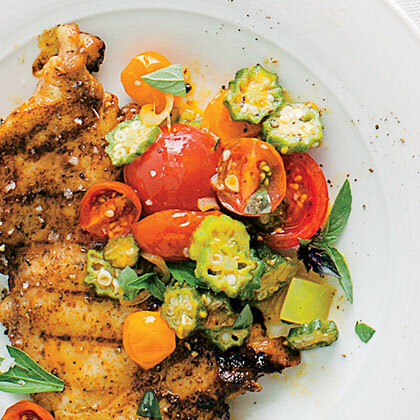 Fresh summer ingredients make up this quick side dish of Okra and Tomatoes. 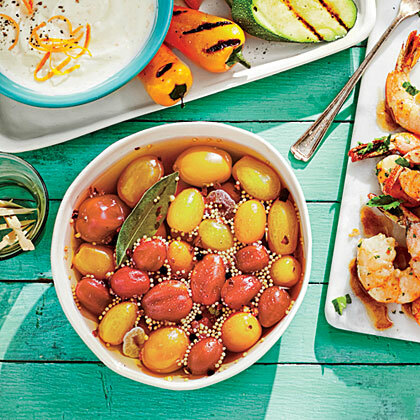 Use a mixture of baby tomatoes such as 'Sweet 100,' 'Yellow Pear,' or 'Sun Gold'--all are available at farmers' markets this time of year. 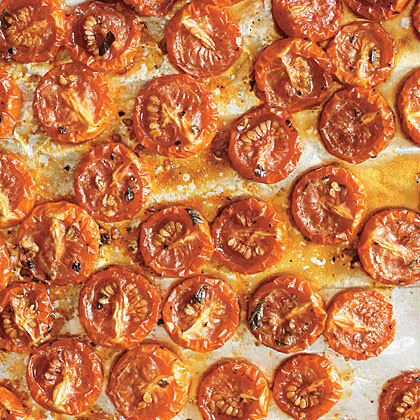 This dish uses 3 pints of tomatoes, but feel free to halve the recipe. 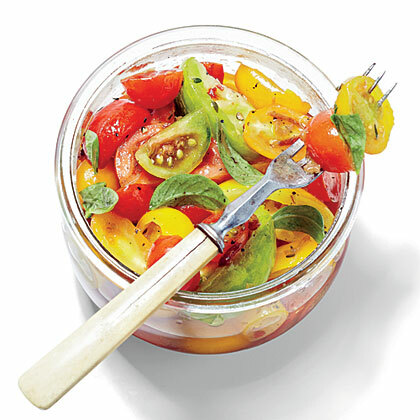 This condiment travels well and is perfect for spooning over grilled fish, chicken, or steak, or tossing with pasta. 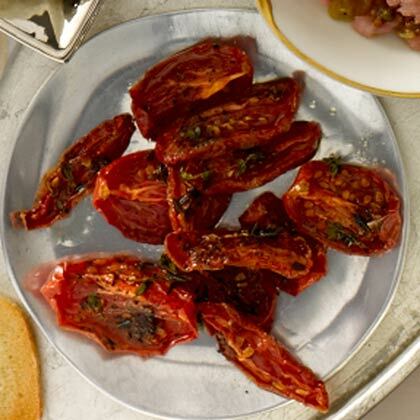 Make a double batch of Roasted Tomatoes, and pair the juicy gems with a cheese tray, salad, or grilled meat. 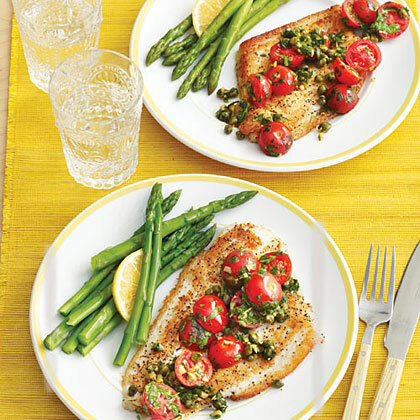 Capers and garlic contribute bold flavor to Sautéed Fish Fillets with Tomatoes and Capers while fresh parsley and tomatoes provide color. 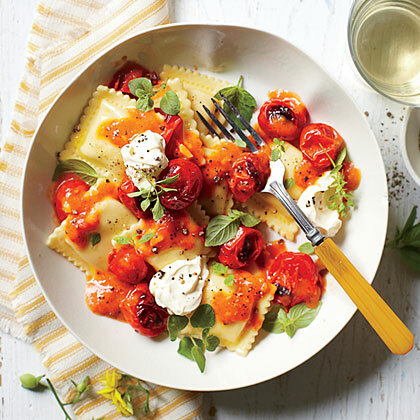 Best way to get summer flavors year-round.Though we adore the recipe these are based on (David Bonom's Aromatic Slow-Roasted Tomatoes from December 2009), we wanted a faster update. So in place of plum tomatoes went little grape tomatoes, which roast to concentrated sweetness in less than half the time. 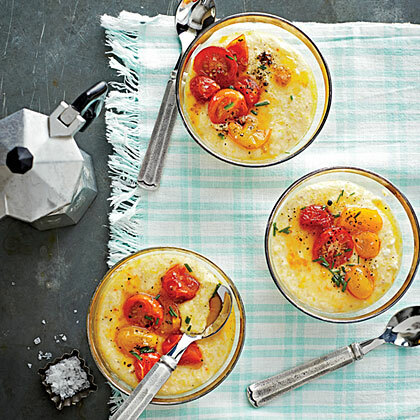 Serve as they are for a side dish, on crostini with ricotta for an appetizer, or tossed with pasta and oil for a main dish. 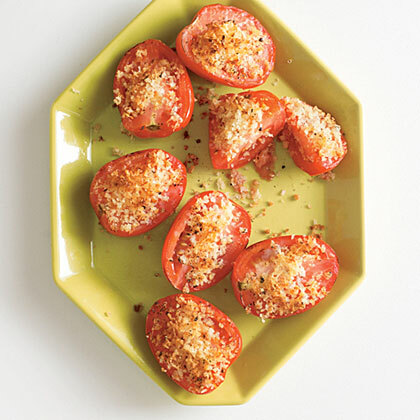 Power up your next party with easy and tasty Oven-Roasted Thyme Tomatoes. 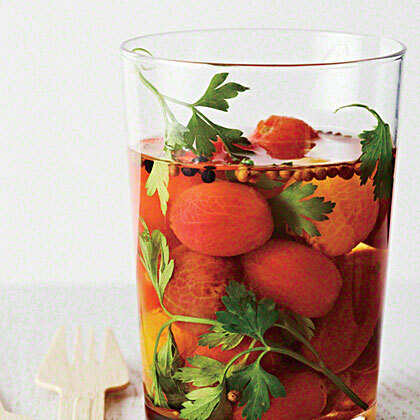 This juicy red fruit is actually a cancer-fight Superfood! 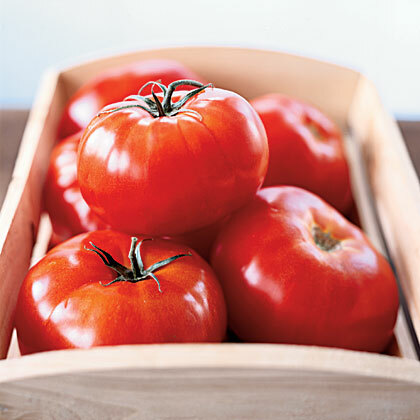 The lycopene found in tomatoes may stop endometrial cancer cell growth. 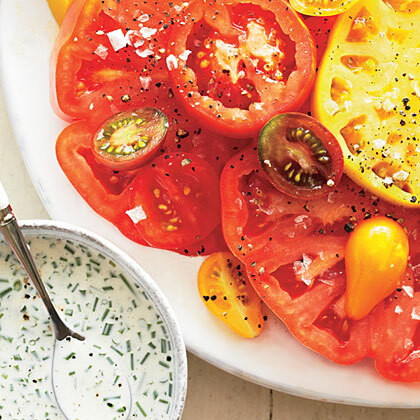 Heirloom Tomatoes with Buttermilk Dressing puts the season’s bounty on full display. 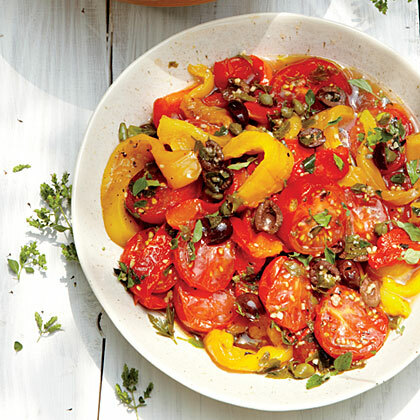 Mix tomato varieties for flavor and color. 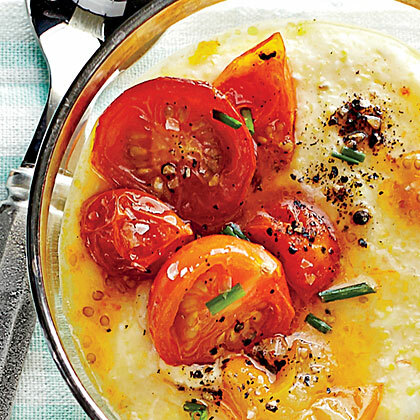 This simple side is ready in five minutes. 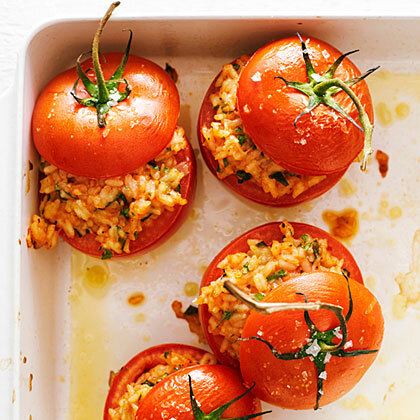 Make these stuffed cherry tomatoes as an appetizer for your next party. 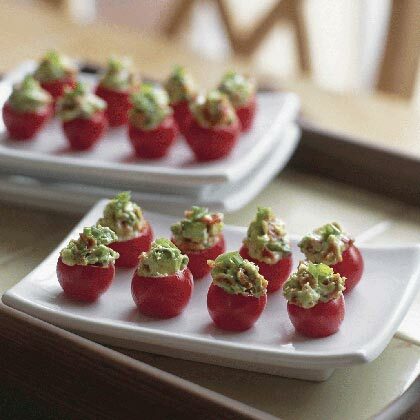 Your guests will love the colorful bite-sized treats.